Washington, DC, actually a metropolitan region in and of itself when you consider its Maryland and Virginia environs, is rich in jazz history. The current wealth of contemporary jazz talent that resides in the DMV (DC-Maryland-Virginia) and performs around the area, with the most kinetic activity squarely within the confines of DC itself, is robust. The following series of capsule profiles reflect the level of jazz talent affluence this area enjoys, focusing on a mere percentage of the exceptional musicians living and performing in our midst. Contributors all, we’ve chosen to break these artists down into three different categories to reflect at least some measure of what they bring to arts & culture in the DC area. Two factors stand out in these profiles, particularly of those younger artists represented here who have arrived on the DC jazz scene since the 1990s – it is truly remarkable how many of them are graduates of the Duke Ellington School of the Arts, and how many received their advanced training at Howard University. Those two institutions have contributed immeasurably to invigorating the 21st century DC contemporary jazz scene. Another factor to be mindful of is the number of musicians in these profiles whose importance as scene or business innovators compels their presence here. Here’s a sampling of veteran DC area artists who perennially set the tone for the DC jazz scene. Blessed with a rich, honeycombed voice, and impressive sense of time, Sharon Clark, based on the glowing notices she’s been getting from her regular forays to such singer’s haunts as Manhattan’s chic Metropolitan Room, stands poised for international recognition. As JazzTimes magazine succinctly put it, Ms. Clark is “a revelation,” but here on the DC scene we’ve known that for more than a minute! Marshall Keys, saxophone. One of several DC-resident artists who’ve made State Department tours, Marshall Keys is a DC perennial who always contributes to whatever setting he’s called into – from Stevie Wonder to Jason Moran’s Bandwagon. In addition, he’s a big booster of DC’s burgeoning jazz talent: “I’ve been telling anyone who’ll listen that between DC and Baltimore, the number of really good players is as high or higher than at anytime I can recall.” For Marshall Keys, versatility and flexibility are a hallmark. James King, bass. 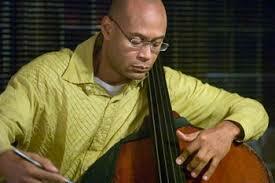 James King is DC’s first call bassist whenever visiting artists require a rhythm section. 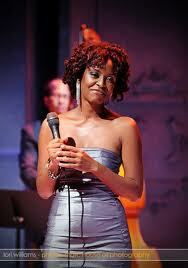 A native of Houston, King is a regular with the Smithsonian Jazz Masterworks Orchestra. His vast experience has ranged from vocal bandstands the likes of Freddy Cole and Shirley Horn to such restless explorers as Gary Bartz and Pharoah Sanders. King brings an opulent, full tone and deep rhythmic sensibility to whatever bandstand he graces. Steve Novosel, bass. The DC scene is particularly blessed with rangy bass players and Steve Novosel is the senior member of that crew. Novosel’s wealth of experience is broad and impressive and his discography boasts the invaluable lower end essence he brings to all manner of bandstands. Though he’s provided stellar support to myriad recordings, curiously Steve Novosel has yet to make his own recording! Yes, you’re getting the picture, the DC scene has first-class rhythm section players, and you can add Baltimore native Lenny Robinson to the list of first-rate drummers. Lenny’s credits include some of the most facile contributors to the scene, but lately he’s invested a good deal of energy in his own Lenny Robinson Group, the cooperative trio Three For All, and an organ unit he calls the Organic Trio; for each of which Lenny also serves as producer. Harold Summey, drums. Besides the impressive number of Duke Ellington School and Howard University grads who continue to nourish the DC jazz scene, one supply house that may be overlooked is the military bands in the area. Harold Summey, who won the initial Thelonious Monk Competition for drums in ’92, has performed extensively with the US Army Blues jazz ensemble. 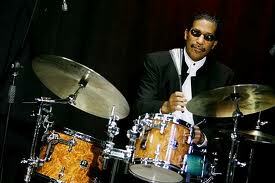 Additionally he’s worked with such NEA Jazz Masters as Sonny Rollins and Wynton Marsalis. 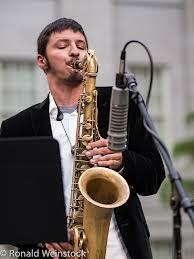 Andrew White, saxophones. Recognized internationally, Andrew White is a true DC jazz legend. Known for his virtuosic playing on all manner of reed instruments, in most recent times his concentration has been on the alto and tenor saxophones. There’s also a legion out there that remember his electric bass prowess with Weather Report, or perhaps his touring on bass guitar with Stevie Wonder; or maybe they know him for his bold series of tales from the bandstand, or for his vast discography and catalogue of original compositions. These days Andrew doesn’t emerge with great frequency, but when he does he truly brings the fire. These artists are not only playing the clubs and concerts around the DC area, they’re also a diverse lot who have taken often unique initiatives to contribute to the DC jazz scene in a multitude of ways beyond the bandstand. Amy K. Bormet, piano-voice. Yet another graduate of Duke Ellington School of the Arts, after earning her bachelor’s in the music program at the University of Michigan where she studied with Geri Allen, she followed her mentor’s lead by earning an MA in music at Howard University. Since then this young woman has created a very necessary scene by founding and producing the now annual Washington Women in Jazz Festival. Chad Carter, voice. A real self-starter, with the working support of his parents Chad Carter has forged an admirable Monday night policy at Vicino’s restaurant in Silver Spring that has not only provided a platform for his development as a singer but has also engaged many of the area’s finest artists. Musicians should take note that here’s a man who rather than moan about lack of opportunity, forged one himself at a venue that prior to his entrees had no music policy whatsoever. He saw an opening to forge a mutually beneficial venue partnership and seized it. Fred Foss, saxophones-educator. Fred Foss comes by his flinty alto saxophone approach honestly, as a student of the Jackie McLean school of playing and one who learned valuable lessons from Dr. Jackle. 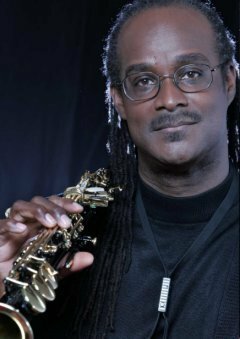 Foss is an honored and very successful educator whose youth jazz ensembles have graduated a number of exceptional adherents, from trumpeter Wallace Roney to saxophonist Elijah Jamal Balbed. In addition to his horns and teaching exploits, Fred Foss has also served as president of the thoroughly unique Listening Group, a 25-year old collective of jazz enthusiasts and intellectuals. Allyn Johnson, piano-educator. A player of supreme swing and unmistakable soul, Johnson is as at home in a burning jazz context as he is in the church; the latter skill best evidenced by his exceptional unit that fuses gospel and jazz known as Divine Order. Allyn Johnson is also director of the jazz studies program at his alma mater, the University of the District of Columbia. Marcus Johnson, piano-keyboards. A player who operates in the groove-oriented arena, Marcus is likely the most entrepreneurial musician in the DC area, no small feat. The Howard University grad holds an MBA and a Georgetown law degree, as well as his own custom wine imprint, Flo – for the love of. An NAACP Image award nominee, under his Flo banner he’s a master marketer, combining performances with wine tastings, motivational speaking engagements. Ken Kimery, drums. Ken Kimery is one of the people who keep the jazz flame alive at the Smithsonian Institution. He’s the current producer of the Smithsonian’s auspicious jazz oral history project, producer of the Smithsonian Jazz Masterworks Orchestra (SJMO) – the closest thing we have to a national jazz orchestra – and coordinator of the Jazz Masterworks Editions publications. Beyond that, if you’ve been fortunate enough to catch some of the SJMO’s thematic concerts, that guy you saw executing the percussive details behind the trap drums is Ken Kimery as well! A significant thread of the fabric of jazz is the tradition of the working band. That tradition has waned somewhat in recent years, partly due to the daunting economics of keeping a band working enough to stay together. For well over a decade trumpeter Michael Thomas has managed to maintain the Michael Thomas Quintet, a hard-charging unit deeply invested in the tradition laid down by Art Blakey’s Jazz Messengers. He’s also managed to chronicle the band through a series of heated recordings on his own Jazhead imprint. “We truly have fun together and a tremendously healthy sense of swing and soul. This is where the band’s “Swing or Die” mentality comes from,” Thomas exclaims. Thad Wilson, trumpet. At one point in the jazz lineage the big band was the signature ensemble. That changed with the advent of the modern jazz era, however there were still those steadfast souls who continued to believe in the majesty of the big band sound, both classic & contemporary. Maintaining a big band is no mean feat, so besides his trumpet prowess Thad Wilson deserves a place on this list purely because he has persevered in a tough climate for large ensembles. Like several on this list Thad Wilson also teaches, as part of the Jazz Studies Dept. at George Washington University. Charlie Young, saxophone-educator. Alto saxophonist Charlie Young is both superb section player and adept soloist, as evidenced by his being featured in the 21st century incarnation of the Duke Ellington Orchestra, the Smithsonian Jazz Masterworks Orchestra, as well as recording stints with the Count Basie Orchestra and appearances with the National Symphony Orchestra and the West End Chamber Orchestra. These experiences lend themselves well to Young’s day job as Coordinator of Jazz Studies at Howard University’s impactful program. In 2013 the baton of artistic director of the Smithsonian Jazz Masterworks Orchestra was passed from recently retired founder David Baker to Charlie Young. Jazz families have indelibly contributed to the fabric of the music. Think about the Calloways, Ellington father & son, the Joneses, the Heaths, the Adderleys, the Brubecks, and countless others; here in the DC area the music has been a family affair in more than one household. Nasar Abadey, drums-educator; Kush Abadey, drums. Christie Dashiell, voice; C.V. Dashiell, drums; Christian Dashiell, bass. Imani, voice; Pepe Gonzalez, bass-educator. This spousal unit has experienced a wide array of opportunities, from Imani’s contribution to Wynton Marsalis’ “Congo Square” and her own recordings, to Pepe’s numerous straight ahead and Latin Jazz stints. 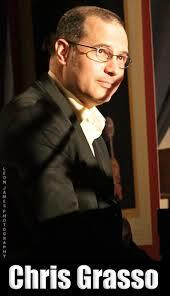 Pepe serves as Assistant Director of the Jazz Academy of Music and teaches at the Levine School of Music. Project Natale formed in 1998 when brothers Joe (bass) and Lou (drums) Natale relocated to the DC area. Operating with tenor man Carl Cornwell and Baltimore’s own Bob Butta on piano, with band longevity being such a fleeting thing these days, Project Natale has stayed the course and performed all over the DMV. Brian Settles, saxophone. Jessica Boykin-Settles, voice. This couple graduated from DC’s Duke Ellington School of the Arts, matriculated at the New School University in New York City, and completed graduate studies at Howard University, where Jessica has also served as an influential instructor. 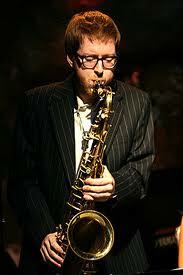 Brian got a head start on his performing career, gaining a reputation for his edgy, original saxophone work in various contexts, including the DC loft jazz series. Jessica has left HU to concentrate more on her vocal career. Delores King Williams, vocalist. Tom Williams, trumpet-drums. These Baltimore spouses and suburban (MD) DC residents have graced various bandstands acrossthe area, including joint concerts and tours with the Smithsonian Jazz Masterworks Orchestra. Tom has shared the bandstand with numerous masters, from the time he was championed by NEA Jazz Master Jimmy Heath. Vivacious Delores has branched out into theatrical work, including with The Capital Steps political satire troupe. Esther Williams, voice. Davey Yarborough, saxophone-educator. This couple has not only collaborated on recordings, they’ve also developed a strong jazz presence at their house of worship, People’s Congregational United Church of Christ. But it is their selfless efforts in jazz education that have rewarded them their greatest career satisfaction. Davey is the longtime director of the jazz program at Duke Ellington School of the Arts, work that recently garnered him the prestigious John LaPorta Educator of the Year Award at the 2013 Jazz Education Network conference. Together Davey and Esther have also built the Washington Jazz Arts Institute to further develop young people. “We started the WJAI because of our understanding of the importance of inspiration, support and guidance in a developing artist’s journey,” says Davey. “We depend on and trust each other while working together and we have grown and matured both musically and in our relationship over the 35 years or so we have collaborated,” echoes Esther. This DC native, only 24 at this writing, displays a refreshing maturity in his tenor sax sound and approach, and an openness to all manner of variations on the music. He’s often spotted at other folks’ gigs, horn strapped to his back and ready to contribute at a moment’s notice. 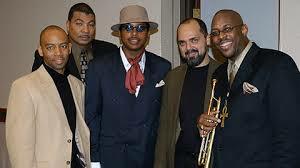 His experiences have ranged from Chuck Brown’s Go-Go to the Bohemian Caverns Jazz Orchestra. Janine Gilbert-Carter, voice. Blessed with a crowd-pleasing manner of delivering a song, Janine’s following around the area has grown exponentially. Its one thing to hear a young ingénue who hasn’t lived enough life to invest real feeling in a lyric, quite another to hear someone who clearly knows; and Janine Gilbert-Carter knows. Janelle Gill, piano-keyboards. Yet another in the growing legion of DC area artists who matriculated through Davey Yarborough’s program at the Duke Ellington School of the Arts and landed in Howard University’s increasingly prestigious Jazz Studies program, Ms. Gill displays a broad range and a comfort level in all manner of contexts. Always thirsty for knowledge and experience, you’re liable to find Janelle Gill in the audience or on the bandstand at any time and place. When she finally does record it should be an eclectic experience. Antonio Parker,saxophonist-educator. A native of Philly, Parker is yet another who matriculated through the Howard University Jazz Studies program. On the bandstand he’s a constant, burning presence ever ready to bring passionate expression at a moment’s notice. An experienced educator, Parker is also a music education entrepreneur, developing his own line of educational products and services. Eric Wheeler, bass. One area where the DC area jazz scene is truly blessed is with robust, capable bass players. Add this Duke Ellington School of the Arts and Howard University grad to that equation. One examination of the authoritative way he handled himself in the company of the celebrated John Coltrane acolyte Pharoah Sanders’ vigorous and spiritual company last summer at Bohemian Caverns was convincing enough, let alone his growing contributions to the scene. J.S. Williams, trumpeter. At the annual Listening Group New Year’s Day jazz celebration Fred Foss looked up and spotted a humble young man coming his way, horn at the ready and prepared to swing. Foss introduced J.S. Williams and ever since then whenever he shows up you know some serious trumpet business will ensue. A graduate of the exceptional jazz program at New York’s LaGuardia High School of Music & Art, Williams came to DC to study at Howard, then shifted to the New School jazz program. Inspired primarily by Clifford Brown, Williams is currently a doctoral candidate in music. There’s a palpable joy in Lori Williams’ approach to a song. Whether she’s re-arranged a pop standard like the Emotions’ hit “Don’t Ask My Neighbors” a tender reading of “La Vie En Rose”, or her uptempo update on “Body & Soul”, all are delivered with an unmistakable sparkle and passion. 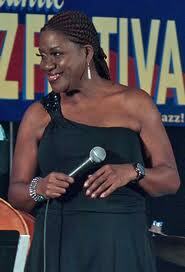 A deeply spiritual woman, her work in Allyn Johnson’s gospel-jazz project Divine Order is a revelation as well. Feeling really Blessed to be included in the amazing line up. Thanks Willard. Words cannot express my gratitude! to see Luke Stewart on the list. Professor …. You continue to be “Nothing But A Gem.” …Plus a constant flow of info…….. Thank you for being so very supportive of all of the wonderful talent this metropolitan area has to offer. I’m honored and humbled to be mentioned among them! You are truly a gem and we are very lucky to have you in our midst as a champion of jazz through your oh so eloquent use of language. Thank you, thank you, and thank you.